Place edamame pods into bowl. Stir together oil, basil, chile powder, onion salt, cumin, paprika, and black pepper in small bowl. Drizzle mixture over beans and toss to coat. Arrange beans in single layer in shallow baking dish. Roast, uncovered, 12 to 15 minutes, stirring once, until beans begin to brown. 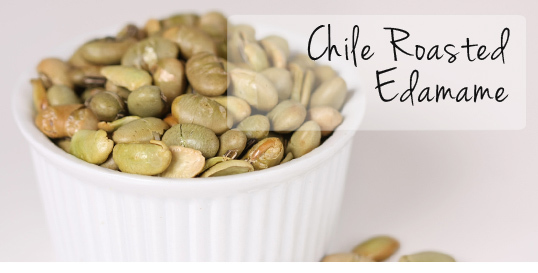 Carefully remove beans from pods, then serve hot as vegetable side dish or cooled as snack. Refrigerate leftovers.